SevenStars is a modern, responsive WordPress theme that builds any type of page design easily with an awesome Page Builder. The theme has capacity of all kind of business websites including Corporate, One Page, eCommerce, Parallax, Full screen, Shop and Clean design. 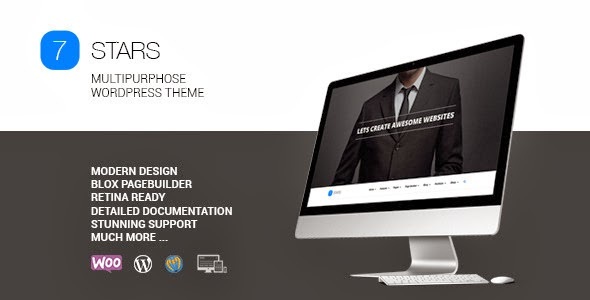 Item Reviewed: Modern Responsive Multipurpose WordPress Theme 9 out of 10 based on 10 ratings. 9 user reviews.